Toyota Gazoo Racing has unveiled its new 2016 World Endurance Championship (WEC) contender, the TS050 HYBRID, prior to the official ‘Prologue’ pre-season test at Circuit Paul Ricard, near Marseille in southern France. 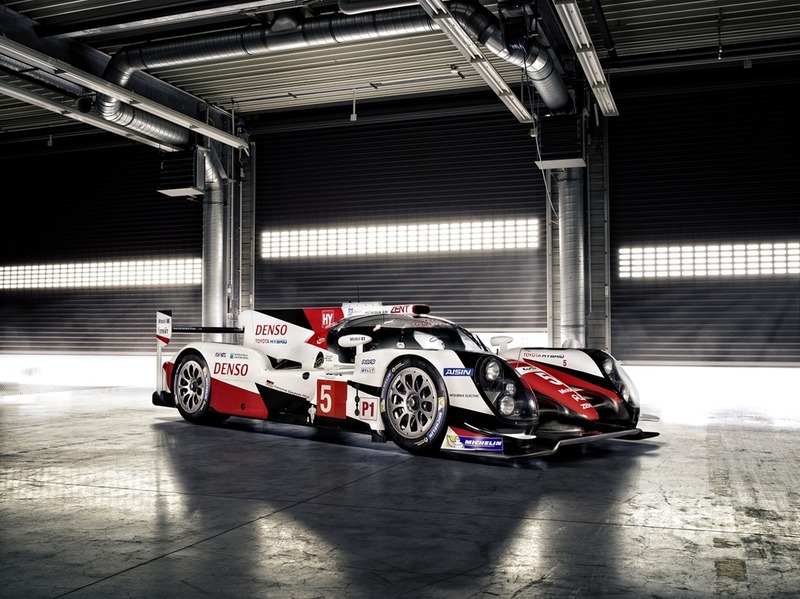 The all-new car, Toyota’s third since joining the WEC in 2012, features a 2.4-litre twin-turbo direct-injection V6 petrol engine combined with a high-capacity 8MJ hybrid system. Developed by Toyota’s Motor Sport Unit Development Division at the company’s Higashi-Fuji Technical Centre in Susono, Japan, the new generation turbo engine with direct injection is better suited to the current WEC regulations which limit fuel flow to the engine. The new powertrain also provides the opportunity to continue technology and knowledge transfer from the track to Toyota road cars. As in Toyota Hybrid road cars, the (front and rear) motor-generators recover energy under braking, storing it in a high-powered lithium-ion battery and releasing it as a maximum efficiency performance boost. The change from super capacitor to battery storage allows the TS050 HYBRID to move up to the more-powerful 8MJ hybrid class. A new powertrain concept brings different cooling and packaging demands, including an updated transmission to handle the significant increase in torque delivered by the turbo engine. Combined with a new aerodynamic concept, virtually every part on the TS050 HYBRID chassis has been redesigned by TOYOTA Motorsport GmbH (TMG) in Cologne, Germany. 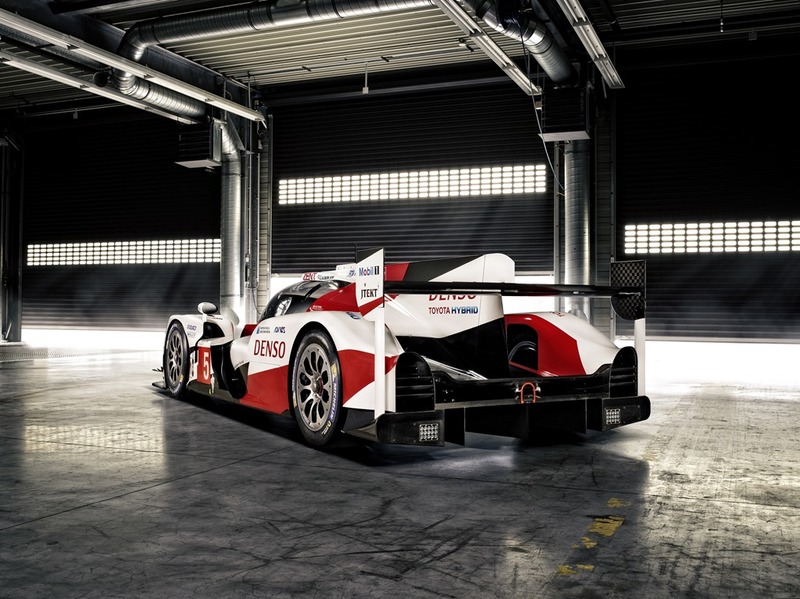 Powertrain components have also played a part in the improved aerodynamic performance of the TS050 HYBRID. By relocating the front motor-generator unit, better under-floor air flow has been achieved and suspension kinematics have also been revised to optimise tyre wear. The team has already covered more than 22,000km in testing of the TS050 HYBRID, striving for performance and reliability, with positive results. Toyota Gazoo Racing will field two TS050 HYBRIDs for the nine-race 2016 WEC season, kicking off at Silverstone in the UK on 17 April. 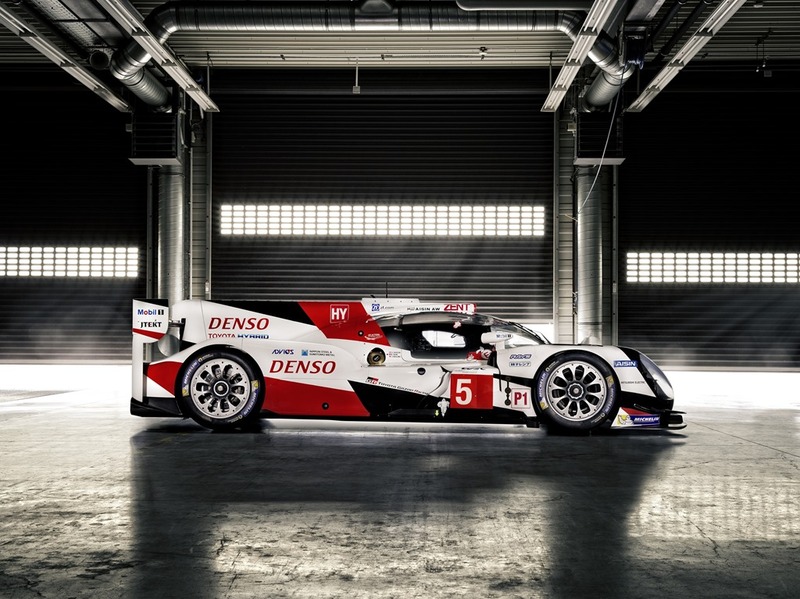 In the #5 car 2014 WEC champions Anthony Davidson and Sébastien Buemi again form a potent partnership with Le Mans pole position winner Kazuki Nakajima. In the #6 car multiple Le Mans pole position winner Stéphane Sarrazin once again links up with fellow WEC race winner Mike Conway. They are joined by Formula 1 podium finisher Kamui Kobayashi (promoted from test and reserve driver). Toyota first competed in the World Endurance Championship (WEC) in 1983, marking the start of a long period of participation in endurance racing. Since 1985, Toyota cars have raced in 17 Le Mans 24 Hours races, achieving a best result of second place on four occasions (1992, 1994, 1999 and 2013). Toyota entered the revived WEC in 2012, combining the expertise from Toyota Higashi-Fuji Technical Centre, where the hybrid powertrain is developed, with Toyota Motorsport GmbH’s support and facilities for chassis development. The multinational team is based in Cologne, Germany and includes engineers from Toyota’s motorsport and hybrid department, who deliver technology and know-how back into road car development. Since 2012, Toyota has earned nine pole positions and won eight races, finishing on the podium a total of 23 times. In 2014, the team won the drivers’ and manufacturers’ World Championships with the TS040 HYBRID while a year later Toyota celebrated 30 years since its first Le Mans entry. Toyota Motorsport GmbH combines its role in the WEC project with its other activities, such as the supply of a World Rally Championship engine for Toyota’s return to the category in 2017, as well as its engineering services business and customer motorsport activities.